Welcome my fine, future-feathered friends. It’s time for another round of pleasantly unpleasing prognostications. Have you noticed, (in the US at least); the Halloween stores have already opened? We’re getting close to our favorite time of the year when HORROR becomes fashionable. Luckily for you, our faithful followers, HORROR has been a weekly event. This week’s recipe for madness includes bananas, cavorting, and of course the ever-popular, mutton chops. Aries… Uranus is in juxtaposing to Taurus now. That’s a bad indicator. In the future, you will establish a cult. You will wear a cloak and worship smoke. Many weed suckers will follow you. Unfortunately, the police will crack down on you and disband your group. Too bad. Taurus… Mercury is in its seventh aspect at this time. That’s a terrible indicator. In the future, you will you will have a yearning to make more money. So, you will make moonshine in sunlight. Of course, the feds will find out and place you under arrest. You won’t even notice that because you will be drunk from tasting your concoctions. Too bad for you. Gemini… Mars is post-urinal at this time. That’s never a good sign. In the distant future, you will spend many months and lots of cash researching and writing a book called, “How To Brainwash a Banana”. Only a few green grocers and one zoo keeper will buy a copy. You won’t be happy. Cancer… The Moon is in half aspect now. That’s an indicator of future problems. In the not too future, you will open a car wash exclusively for “Meals On Wheels” recipients. It will fail and you will lose everything. Too bad for you. Leo… The Sun is in tri-modal position now. That’s never a good sign. One day, you will devise a new language based upon birdcalls. But, you will abandon the idea shortly after you begin to molt. Sorry about that. Virgo… Jupiter is in its seventh aspect at this time. Hmmm…that’s not too good for you. Someday, you will become a famous building contractor after you build a house made entirely of chicken bones and gristle. Unfortunately hyenas will devour it. You will lose everything. Libra… Venus is in intri-quadrinal position now. That’s a bad indicator. In the future, you will get an infection, or have a government inspection. Either way, it won’t be a happy experience. Sorry about that. Scorpio… Saturn is in half aspect now. That’s an indicator of future problems. In the distant future, you will spend many months and lots of cash researching and writing a book called “How To Cavort For Fun And Profit”. You will only sell one copy to someone named, Dennis Miller. So sorry! Sagittarius… Neptune is bi-trinal now. That spells trouble. One day, you will leave your heart in San Francisco, and your spleen too. Medical bills will pile up quickly after your insurance company denies coverage. Your life will be in shambles. So sorry. 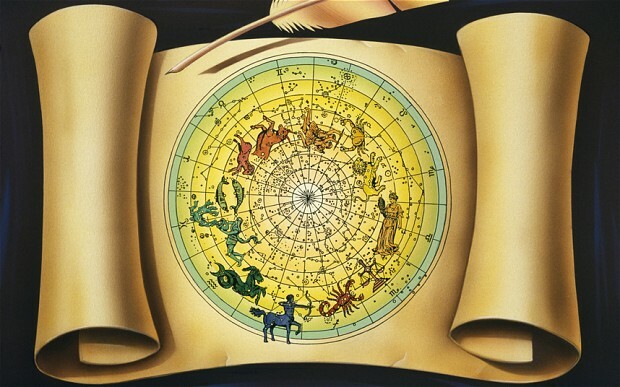 Capricorn… Uranus is tri-modal at this time. That’s never good. In the distant future, you will open a Children’s’ Restaurant called “Peanut Butter And Jelly Fish”. Mothers will shun it. The local Board of Health will quickly shut it down. You’ll lose everything. Sorry. Aquarius… The Earth is in half aspect now. That foretells problems for you. In the distant future, you will open a mutton chop locator service. It will be a hairy experience which you abandon in a short time. Pisces… Mars is tri-modal at this time. That will bring you misfortune. In the somewhat distant future, your enemies will attempt to bottle you. It will be a sloppy, and harrowing experience. Yes, you’re right, it’s best to keep it on topic 🙂 ! Ron, I was just thinking maybe the next time you post about the fortune cookies, you could put a link to the original contest post. It would make it so much easier for people to find that post. Anyway, just a thought… Have a great day! Thanks, Michelle. Still working on the roof,LOL. Based on comments I’ve received, you’re one of the few people who have actually gone back to read the contest information. Glad you liked it. Cheers! Thanks for your great comment. I am honored by it. It’s not often that I hear from someone like you. I’m here to give folks a good laugh now and then. My blog also has some poetry of a lighter nature based on news stories. And, I have a photo blog at bigron42.com You have a great week as well. Cheers! LEO: why are you sorry, I’m the one molting?